Deadpool 2 press and fan screenings started yesterday and the response has been overwhelmingly positive, which is the opposite of what many had assumed after news of disastrous test screenings and other rumors started to derail the hype train. It seems that many of the viewers have decided that the highly anticipated sequel is even better than the first movie. Additionally, the promotional material for Deadpool 2 has been pretty crazy, but none of it apparently touches the hard R-rating that the movie earned. There are no spoilers for Deadpool 2 below, so you can read ahead with confidence. While we can't divulge what it is, many are hailing the Deadpool 2 post-credit scenes as one of the best in cinematic history. Nearly everybody who has publicly commented on the movie has heaped praise on the post-credit scene, so don't leave the theater before the end of the credits. Also, as touched on before, the sequel ramps up the vulgarity of the first movie by a lot, meaning no children should be able to watch Deadpool 2 just yet. One opinion of Deadpool 2 is that it's much better than the first film. In fact, a few people have pointed out that the sequel actually improves on some points from the first movie. Plus, the overall consensus is that Ryan Reynolds is amazing as the Merc with a Mouth. Sean O'Connell had this to say. "So, #DEADPOOL2 is the perfect sequel. Doubles down on everything that fans love about the original, and fixes some of that film's issues. Huge, huge laughs that play the audience like a fiddle. @VancityReynolds destroys as Wade. Great action, fantastic comic nods. A killer ride!" A lot of the praise for Deadpool 2 comes from an angle of not really liking the first movie, which might not bode well for people who did enjoy the first movie. 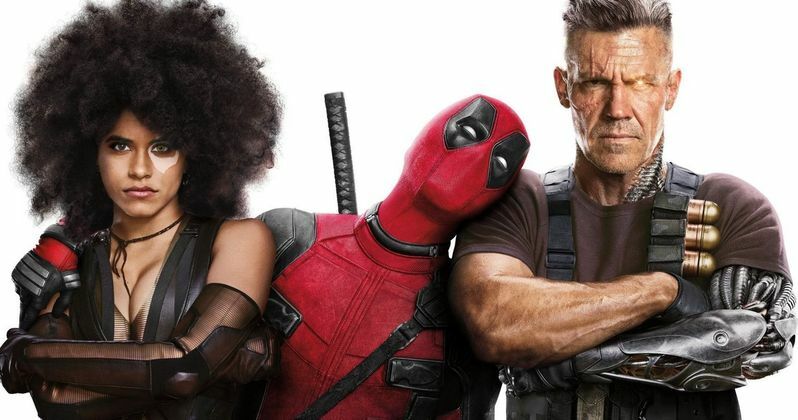 Matt Singer stated that he didn't like Deadpool, but really enjoyed the sequel, saying that the sequel is "slow to start but all the stuff with X-Force and Cable (and Peter!) works surprisingly well." Many have been taking to social media to praise Josh Brolin's performance as Cable, and there are a lot of secrets that cannot be printed yet. The full review embargo doesn't lift until next week, but journalists and some lucky fans who have seen Deadpool 2 can openly share about the movie on social media. While everybody is strongly encouraged not to spoil anything, there are people who are always looking to ruin someone else's good time. That being said, be careful of the sites and forums you visit over the next few days to avoid spoilers. For fans who have been patiently waiting for some good news, that day is finally here. While there are some small gripes with Deadpool 2, the rest of the reactions have been impressive. You can read some spoiler-free reactions to Deadpool 2 below, thanks to 21st Century Fox. Liked DEADPOOL 2 way more than the first. Smarter, funnier, and with 100% more Ricky Baker. Saw Deadpool 2. Man that guy sure likes to make jokes about dicks and butts, and dicks being in stuff and stuff being in butts.